Whether you’re a builder, dog groomer, electrician, florist or plumber let our team of van experts help select the best policy to suit your needs. Choose between comprehensive, third party fire and theft or just third party insurance. We are confident that all of the policies offered are of the highest standard with tools in transit cover being included on all our van policies, along with options for Legal Protection, breakdown cover and of course FREE peace of mind. Looking for cheaper van insurance with quality cover can be time consuming so why not let Riviera do the hard work for you? 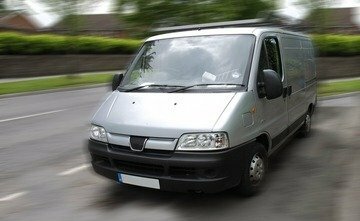 We’ll not only save you time by searching many of the top UK van insurance companies for you, we’ll also endeavour to save you money. Even though we offer you cheaper van insurance cover, we fully understand that quality cover is just as important as a low price. So we only deal with the most trusted UK van insurance companies who can provide you with the standard of insurance cover you deserve. Because we’re independent, we search the van insurance market to get you the best motor policy – from third party policies to fully comprehensive cover. Whenever you ask for a new or renewal quote, we search a panel of up to 50 leading UK underwriters to ensure you get the best, up to the minute, market rate and the best, cheap cover. If you need to make a claim, because we’re completely independent, we work with you, not against you, to sort everything out and to make sure your claim is paid. Whether you need to sort out a hire van or a new windscreen, our claims service is available 24 hours a day, 365 days a year.